FBI investigation into Congressman led to corruption allegations against top Israeli officers. Rabbi Pinto is one of Israel’s wealthiest - and among its most influential - rabbis. He splits his time between Israel and Manhattan, where he has a congregation. Grimm and Biton allegedly accepted contributions from wealthy individuals connected to Rabbi Pinto in violation of campaign law. Among other things, they allegedly took large cash donations, and accepted donations from foreigners without green cards. Biton pleaded guilty to visa fraud in August 2013. Grimm has rejected the allegations regarding his campaign funding as false. However, last week there was a new development in the years-old case: the FBI arrested Grimm’s former girlfriend Diana Durand on charges of elections fraud relating to the campaign. Rabbi Pinto has reportedly leveled his own charges against Grimm, claiming that Grimm’s associates attempted to blackmail him if he did not encourage his followers to donate to Grimm's campaign. Rabbi Pinto turned witness in the FBI case. While there are conflicting reports regarding what followed, all parties seem to agree that the FBI case was complicated by a bribery case in Israel against Rabbi Pinto. Around the time that Rabbi Pinto agreed to testify for the FBI, he allegedly attempted to bribe a senior police officer in Israel, Ephraim Bracha. 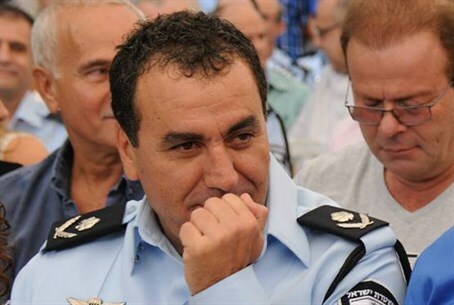 Bracha reported the alleged bribe to his superiors immediately, and is not facing charges in the incident. Rabbi Pinto reportedly has stated that the FBI was aware of the alleged bribery attempt, and that the “bribe” was in fact part of the FBI’s surveillance. However, according to other sources, the allegations against Rabbi Pinto has compromised the FBI investigation by tarnishing his image. Corruption charges linked to pressure to drop the case? Still other sources, quoted by Mako, accused Congressman Grimm of involvement in the Israeli case, saying that Grimm is trying to use his influence in Israel to hurt Rabbi Pinto, in order to undermine the investigation into his own activities in America. Grimm is known as a staunch supporter of Israel and has connections to senior Israeli politicians. He is a vocal opponent of U.S. President Barack Obama. According to the report, a former Israeli minister who was apparently speaking on Grimm’s behalf made an attempt to convince Rabbi Pinto not to testify against Grimm. The FBI surveillance of Rabbi Pinto over the charges involving Grimm reportedly meant that American agents collected much of the evidence that led to the latest corruption charges. According to the allegations, senior police officer Menashe Arbiv of the anti-corruption unit was one of multiple senior police officers who took bribes from Rabbi Pinto in exchange for information on other cases in which the rabbi was involved. Arbiv, like Grimm and Rabbi Pinto, has denied any wrongdoing. The investigation against Rabbi Pinto has been ongoing for at least a year, but he has yet to be charged with anything.